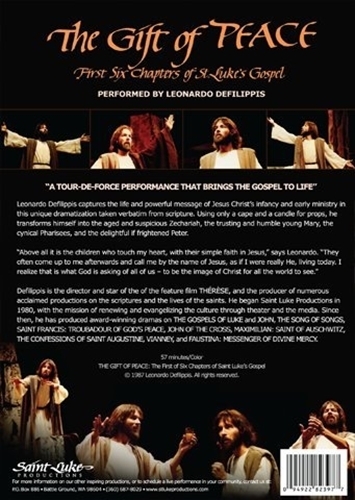 In this inspiring one-man performance, Leonardo Defilippis captures the life and powerful meaning of Jesus Christ's infancy and early ministry. 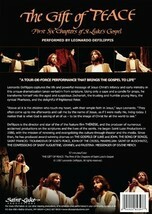 This unique dramatization is taken verbatim from the first six chapters of Saint Luke’s Gospel, and the music, costume, and set create an ancient Jewish atmosphere. Using only a cape and a candle for props, Defilippis transforms himself into the aged and suspicious Zechariah, the trusting and humble young Mary, the cynical Pharisees, the delightful if frightened Peter, and Jesus the Beloved Savior. 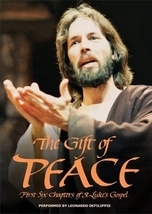 The Gift of Peace can be performed at any time of the year but is particularly appropriate for the Advent season. “Above all, it is the children who touch my heart, with their simple faith in Jesus,” says Leonardo. “They often come up to me afterward and call me by the name of Jesus, living today. I realize that is what God is asking of all of us – to be the image of Christ for all the world to see.” The Gift of Peace was the first live play produced by Leonardo Defilippis, and opened in 1980 at Carpenter Hall at the Oregon Shakespeare Festival. Leonardo went on to perform this drama for audiences throughout the state of Oregon during Advent of that year, and after thirty years the show continues to be a favorite with audiences as a beautiful preparation for Christmas.